I adore Laurel and Hardy, I remember the first time I discovered them-age 10, in 1992. I was captivated, I would memorise scenes and try to get my friends to act them out with me. 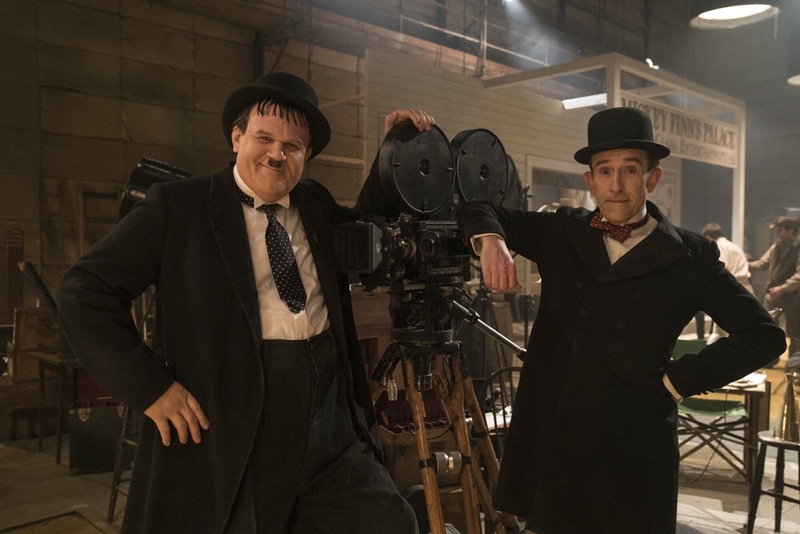 It’s clear that the team behind “Stan & Ollie” love them even more. The film opens in 1937 with Stan Laurel (Steve Coogan) and Oliver Hardy (John C. Reilly) making the classic ‘Way our west’. The duo are at the height of their careers. They’re popular, happy and enjoying a good-natured chat about alimony, filming schedules and attending a party with Clark Gable. We then flash forward 15 years with the pair reuniting after a creative break-up, hoping to use a series of live performances to generate interest in a film they want to make. The tour doesn’t get off to a good start, they’re staying in a second-rate hotel, whilst the youngster on reception tells them how much her mum loves them, highlighting their fall from grace. The audiences is sparse and their tour manager is more interested in promoting Norman Wisdom. Steve Coogan and John C Reilly both put in tremendous performances in this ambitious film. Coogan has Laurel’s mannerisms down to a T, he even sounds like him. Switching between an American accent when filming and a transatlantic accent when not (Stan Laurel was originally from Yorkshire). Reilly brings a light touch to Oliver Hardy and captivates in every scene. Watching the two of them re-enact classic sketches is an absolute joy to see. Nina Arianda and Shirley Henderson star as Laurel’s and Hardy’s wives-respectively. They hold their own throughout and are portrayed as equal partners, as well as the most important people in either man’s life. Stan & Ollie is a wonderfully sweet film, a proper love letter to true Hollywood icons. See it on the big screen. 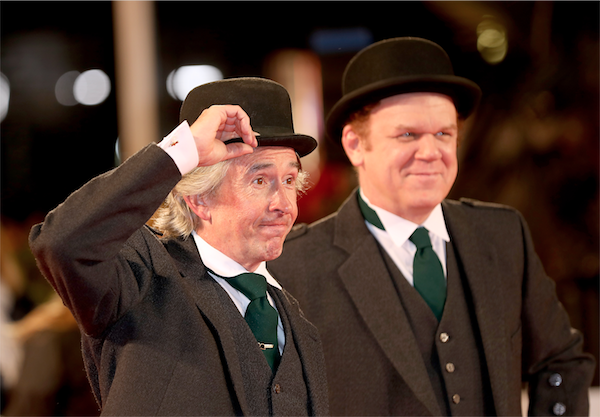 Stan & Ollie will be in cinemas, 11 January 2019.